Are You Feeling Confused Pre-Election Day? 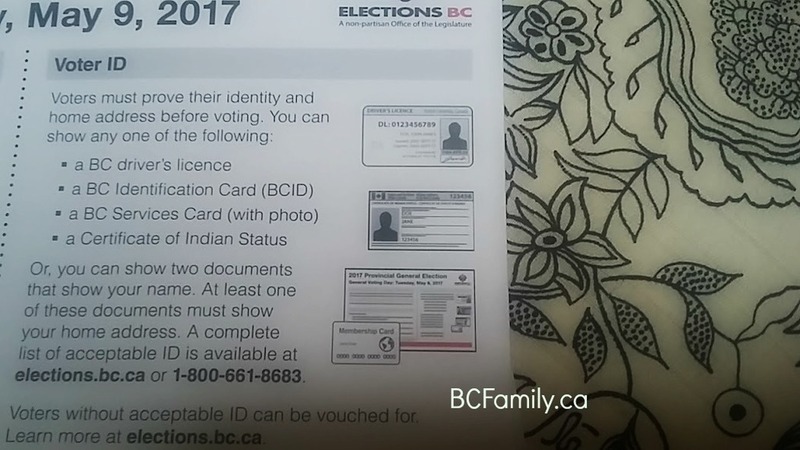 As the May 9th BC provincial election day draws near, you’ve decided to either vote for a specific party or not vote, or you’re feeling a bit confused. If you haven’t made it to an advance polling station, and you really don’t know what you want to do, there’s a lot to consider. If you know what you’re going to do at the polls, you’re good to go. If you’re absolutely certain that you want to be one of the 40% who don’t vote, that’s a shame. Politicians approve decisions that affect your life in countless ways. Unless you’re living 100% off the grid, it’s probably a good idea to pick a party you think has the best chance of not messing things up. Because there will be mess ups, no matter which party gets to move ahead with the reigns. Should you just vote for the party that you prefer? Should you vote strategically? Some people agree with this strategy. Others don’t. There’s no right answer on this topic. What if none of the parties and their platforms appeal to you? It’s a widely held opinion that the BC Liberal Party is more right of center than you would expect it to be, as a result of the collapse of the Social Credit Party. Since it’s been 16 years since the NDP have been in power, there are many voters who don’t know what they’re like as a governing party. For the rest of us, we’re left to debate if it’s fair to assess them on how they fared almost 20 years ago. Some people like the idea of voting for the Green Party but live in ridings where the Green Party are in a distant third position. Do you want to support the strongest candidate? Do you think that your current MLA is doing a good job? Is she/he a “boots on the ground” type of person? Do you feel that amongst all of the candidates, this person still looks to be the most capable to represent your riding’s interests? Or do you think that one of the other candidates looks more promising? Will you vote for this person even if it looks like her/his party will not be the one that wins this election? Do you believe that even in opposition, your MLA of choice (when elected) will be able to ruffle feathers and kick up enough of a fuss to represent your riding’s interests? These are the questions you will have to ask yourself if you choose to vote for someone who might be sitting in opposition. Sometimes the strongest candidate might also be the someone who works for a party that is not your first choice. You will have to decide. Do the policies and priorities of your party of choice take priority over the potential of the strongest candidate? If you’re not too fussed about any of the parties, you might choose to support the candidate or party you dislike the least. Which of the two front runner parties do you dislike the least? Or on a more micro level, which of the two top running candidates do you think looks the least weak? People feel disgruntled about politicians and politics for many valid reasons. If you’re one of these type of people, you might find yourself asking this question. You might be most concerned about the overall needs of your province. Are you concerned about job creation? Affordability issues? Education and healthcare support and reform? Environmental concerns? The list goes on and on. Economic inequality research looks at how countries that have flatter economies – where there is a narrow difference between the haves and the have nots – are also healthier. Which party looks capable of making, in your opinion, better decisions on topics that affect the issue of economic equality and the economic health and well being of British Columbia? You might also make the decision to not vote for a party because you feel that they won’t be capable of supporting the issues that you care about, or ensuring that the province has a healthy economy. Political parties will play on these fears when they point to flaws in the arguments of the other party or suggest that the other party doesn’t have a well thought out plan, which in turn has fiscal ramifications. Maybe you’re more focussed on the unique needs of your riding. Is there an important environmental issue in your area that will be affected by the results of the election? Is there a large decision coming down the pipeline in a neighbourhood near you that will be decided by the winning party? In the Lower Mainland, for example, there is the possibility to re-purpose Riverview Hospital and make it a center of excellence for the provision of mental health and addiction support services, in addition to being a world class green space within an urban setting. The decisions that are made post election about this large property will have an impact on people who live well beyond the boundaries of the City of Coquitlam. Right now healthcare services are being replicated within all cities in the Lower Mainland, and police departments allocate a large part of their budget to resources that are focussed on the mental health challenges of British Columbians in crisis. For voters in this riding, this is an example of a topic in their riding that could – and I would argue should – affect their vote at the poll. But it’s also a pressing topic that affects all British Columbians. At a well attended Save Riverview Rally recently, two of the three political candidates turned out to speak. Are you most focussed on your own household’s needs? Taking the focus to an even more micro level, you might be focussed on the topics that have a strong impact on your family or yourself. You will often hear people say “I care about this issue and it has a direct impact on my life. This party will support my concern the best so I’m voting for them.” Or they might say “this party will not support the issues that concern my family the most, so I won’t vote for them”. Are you going to be driving over a new bridge? Will it be built? Should it be built? Will there be a high, low or no toll? Will there be $10/day daycare providing safe, affordable and accessible high quality services that can help you to re-enter the job market? Do you believe that it’s possible to fund this type of programme? Have the numbers been crunched enough? Should you believe the talking points of a far right think tank employee who repeatedly references two research studies? Should you trust their conclusion that it’s not an affordable option and the impact of women in the workforce will not produce a financial/tax benefit? Does the topic of mental health needs seem unrelated to the pressing needs of your family? Even though 1 in 5 Canadians will struggle with a mental health challenge – and anxiety, for example, is listed as the top health concern for the next 20 years – you might not feel that this issue has touched your family. Even though there are long wait lists to access mental health services within communities and in schools, you might not feel that this is an issue for your children or current/future grandchildren. One party has promised to put mental health care workers in schools. This election promise might not speak to you because this topic might not be on your radar. Whereas this might be one of the main reasons that your neighbour will be voting for that party. Did you enter the housing market in BC before prices sky rocketed out of control? If you already own a home – and many British Columbians do – the cost of accessing housing (purchased and rented) might not be a concern to you. Your children might be young enough that you don’t have future cost of living issues on your mind. If you start to look at where your priorities lie, you will get a clearer picture of where you should place your X on the voting ballot. If you’ve been feeling slightly unsure about what to do, I hope you will come to a decision that feels right for you. Political analysts are saying that this election is too close to call. That means that your vote does really count. Off you go, bring a friend along and have some fun hanging out with your neighbours at the polling station. You can comment about this posting on the BCFamily.ca Facebook page. Your contribution matters so don’t be shy!